Overview of dart types. 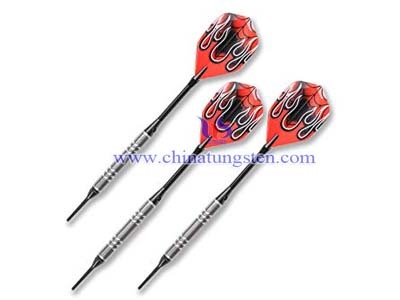 There are many different darts to choose from: wooden darts, brass darts,nickel/silver darts and tungsten darts. 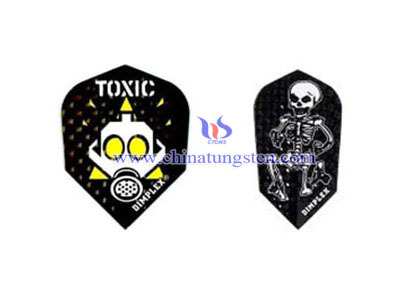 The most popular dart for dart league throwers is the tungsten dart because a high-density tungsten dart will resist wear and creates a smallaer barrel that allows tighter groupings of darts. 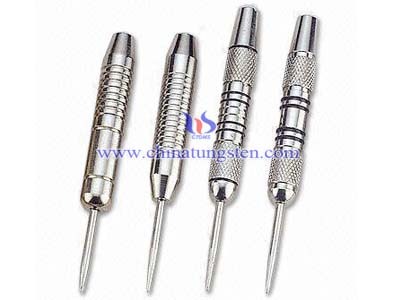 Brass and nickel/silver darts are cheaper and are made from softer metal darts meaning the knurling can wear down quickly from skin oils, friction and contact from other darts. 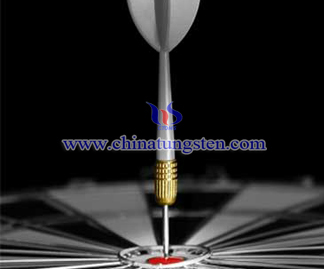 When buying tungsten darts make sure to pay attention to the packaging because the percentage of tungsten is very important to the quality of the dart. The higher the percentage the better, and more expensive, the dart. The main benefit of a high-quality tungsten dart is that the barrel will be smaller so you will be able to throw tighter groupings of darts, minimizing bounce outs. Try out multiple dart weights. Your owe dart barrel to yourself to try out all of the different options that are available. Dart barrels are available in weights from 12 grams to 50 grams. It is rare to see someone throwing with dart barrel heavier than 30 grams, but most dart organizations allow for darts up to 50 grams. Make a visit to your local dart store and throw the same dart barrel style in each weight class. The speed in which you throw the dart barrel will help determine which weight to choose. The lighter the dart the harder/faster you have to throw it. The location of the weight on the dart barrel is also important. Some darts are heavier towards the front of the dart (front-loaded) and others are back-weighted. Try them all and you’ll develop a feel for what works best for you and your throwing style. 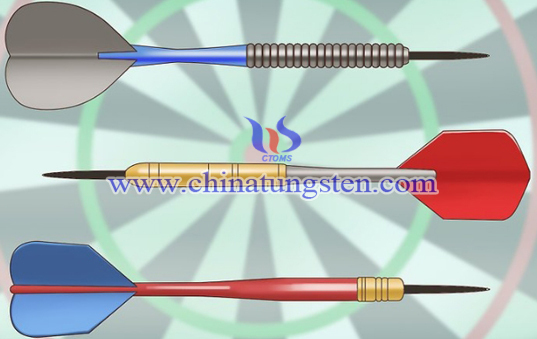 Try out the different Shafts.The main factors to consider when buying dart shafts, also known as dart stems, are length and weight. The important thing here is balance. You need to take care that your stems are not too long or too heavy relative to the length and weight of your dart barrels.The material the stems are made from is also worth considering. 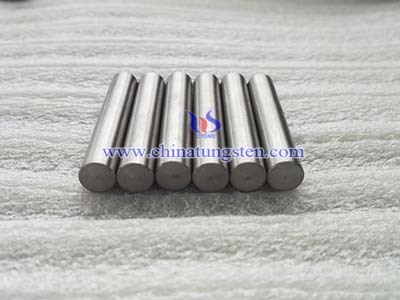 Plastic stems are the usual choice due to their relative cheapness and light weight. But it is worth trying aluminium shafts as these are lightweight but have the added advantage of extra rigidity; so they won't flex when you throw with them. One disadvantage is that they often work themselves loose. To overcome this simply add a rubber O-ring to the threaded section of the shaft. Try out the different dart barrel grips. Your next step is to try out different dart barrel grips that are available in the weight you have chosen. Some dart barrels have heavy knurling and others are smooth. Typically, the heavier the knurling the easier it is to grip the dart barrel. However, extremely heavy knurling can cause darts to stick to your fingers and mess with your accuracy. 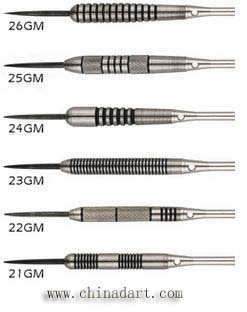 For the typical dart player, there is more than one dart barrel that will work. Just make sure to choose the one feels the best and run with dart barrel. Try out different flights. The main things to consider when looking for dart flights is shape and weight and rigidity. Flights come in many different shapes and materials and, once again, the key is to pick the flights that balance your barrel and stems. If the flights are too heavy your darts will be unbalanced.